Retired IAS officer and former additional chief secretary to the Assam government MGVK Bhanu will join the Congress on February 11, 2019. This has been confirmed by former bureaucrat Bhanu, who retired on July 31 last year. It was earlier reported that Bhanu may contest the upcoming Lok Sabha elections 2019 from Tezpur on BJP ticket replacing RP Sharma. However, keeping aside all speculations, Bhanu has revealed that he would join the Congress party, which will fight the Lok Sabha polls 2019 under the leadership of party chief Rahul Gandhi. According to information, he had a meeting with former Assam Chief Minister Tarun Gogoi at New Delhi. 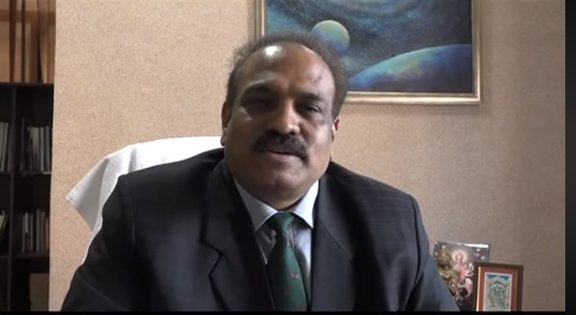 Bhanu, after his retirement from government service, had announced in a video that he would join public life after his retirement. He served as the additional chief secretary to the Labour and Welfare, Panchayat & Rural Development and Home. Earlier, during an interview with a local TV channel, Bhanu had said he would stay at Tezpur in Sonitpur district after his retirement. Bhanu is a popular figure in Tezpur and is a strong contender for the Tezpur Lok Sabha seat. During his posting at Tezpur, Bhanu took a mega project of beautification of Tezpur town. Bhanu, who was a 1985 batch IAS officer, originally hails from Andhra Pradesh. He was known for his activeness and strong personality as a bureaucrat and strongly slammed many corrupt subordinates by issuing suspension orders. Bhanu became nightmare for political leaders and ministers while he was serving as the additional chief secretary to the CM during the regime of Tarun Gogoi. He was also known as the right hand of former Chief Minister Gogoi.